Munnar meaning three rivers in Tamil is situated at the merging point of three mountain streams - Mudrapuzha, Nallathanni and Kundala. The place has lush green surroundings, winding lanes, numerous lakes, waterfalls, streams, reservoirs, forests and tea plantations. 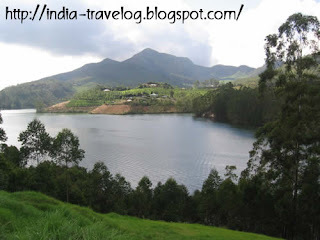 Mattupetty Lake and Reservoir - Mattupetty lake, located around 13 kms from Munnar, is a picturesque lake that was created because of a Hydro Electric Project. The Lake is surrounded by rolling hills and woods. 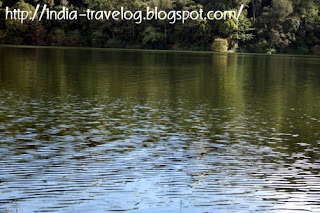 Boating is allowed in the lake and it is a favourite picnic spot for visitors. 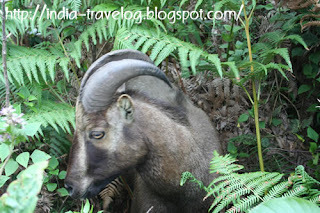 Eravikulum National Park - We went here to see the endangered Niligir Tahr. The National Park is 97 sq. km. 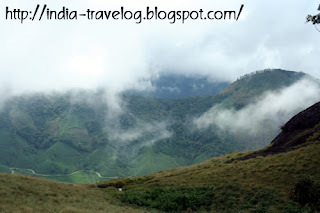 in area and is situated along the Western Ghats. The Park has the largest population of the endangered Nilgiri Tahr (Hemitragus hylocrius). 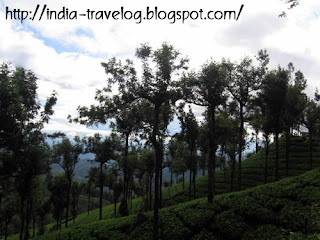 The park is around 13 kms from Munnar. Echo Point - This beautiful scenic place,located around 15 kms from Munnar derives its name from the natural echo phenomenon here. It is on the way to Top Station from Munnar. There are lot of stalls around selling fresh carrots and fruits. Nyayamakad waterfalls - 10 km from Munnar on the way to Rajamala is Nyayamakad - a land of breathtaking waterfalls. The waters cascade down the hills from a height of about 1600 metres. 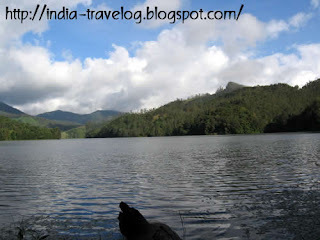 Kundala Lake - Kundala is a picture perfect town on the way to Top Station from Munnar. 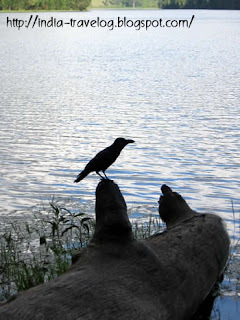 The tranquillity of the place draws the tourists here. The Tata Tea Golf Course is located here. 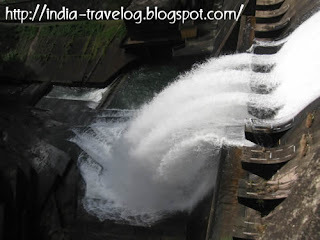 The Kundala artificial dam is another added attraction here. 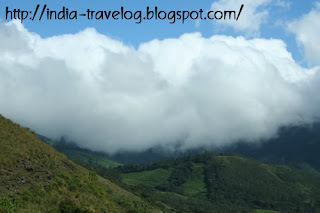 Anaimudi Peak is the highest peak of Southern India at an altitude of 2695 m from the sea level. The nearest airports are at Kochi (130 kms) and Madurai (142 kms) while the nearest railway stations are at Kochi and Kottayam. Munnar is well connected by a good network of road transport. 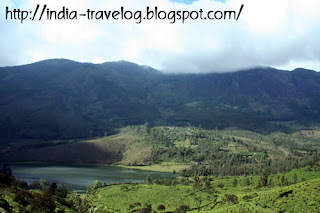 Lot of tourist buses (private and government) ply to and fro from Munnar. 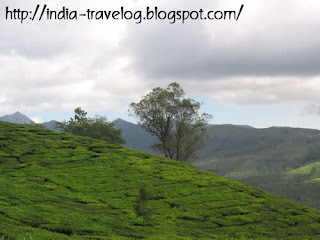 Munnar offeres accomodation to suit all kinds of travellers - from the high end to the shoe string budget traveller. SMM Cottage is located near the KSRTC bus depot and is around 15 minutes walk from the city market center. The home stay people can arrange for local transport and sight seeing.